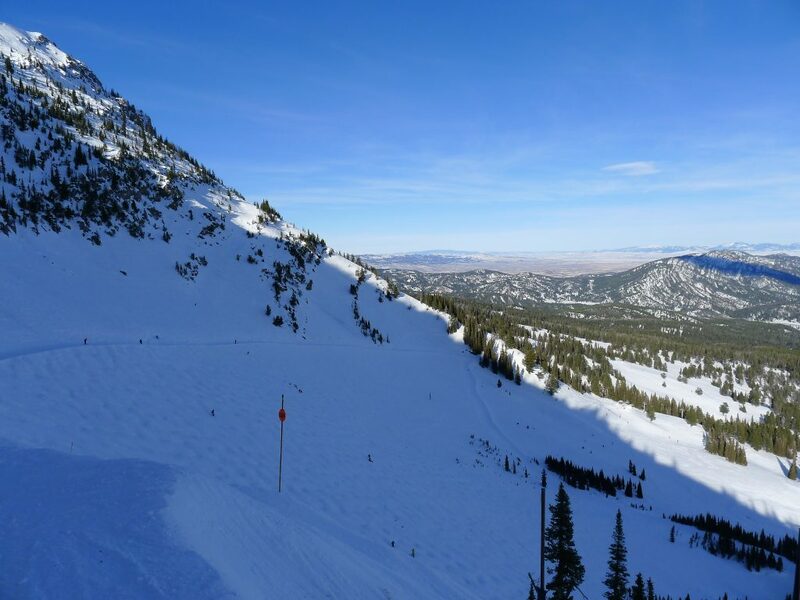 Bridger Bowl is a classic resort with a strong local following and a reputation for good snow and steep terrain. It is the only resort that I know of that operates a lift that requires an avalanche beacon to be allowed to ride it. 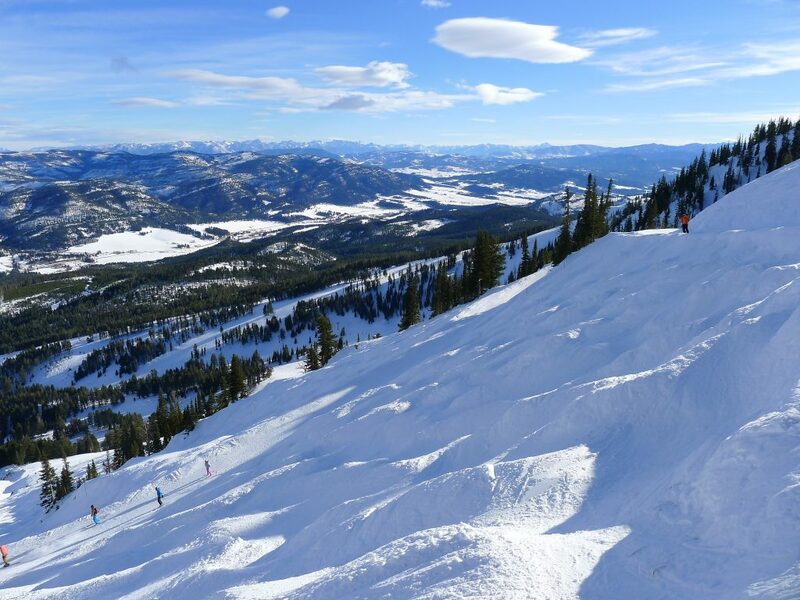 Bridger Bowl is in the enviable position of being the only nearby alternative to Big Sky for people living or staying in Bozeman. It’s only 16-miles away so is incredibly convenient to get to for a quick outing. 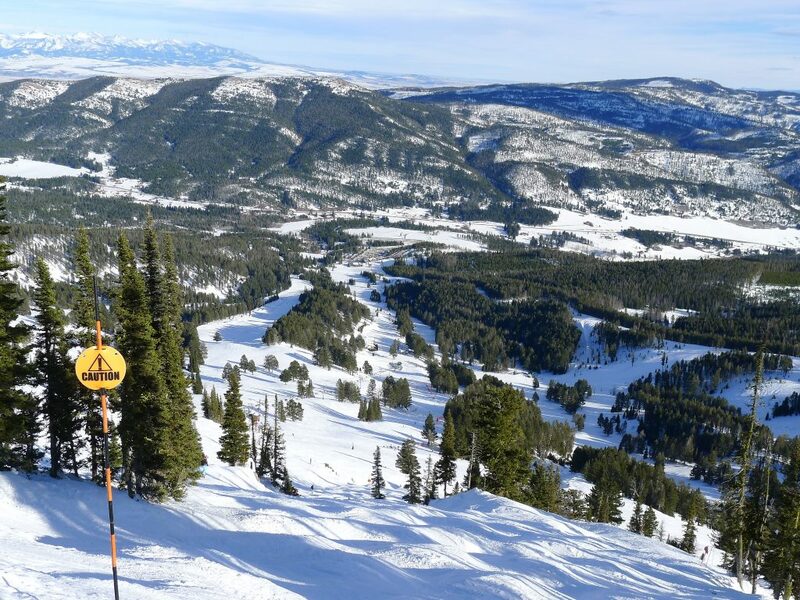 We spoke to a couple of locals who had season passes at Bridger because Big Sky has eliminated or cut back on season pass programs that used to be good for locals. With the terrain and snow available at Bridger, they are not missing anything in my opinion. Bridger is laid out on a long ridge that faces east and gets progressively steeper from north to south. It’s fan-shaped and at the bottom the Sunnyside quad is the main access to the rest of the mountain but is all flat beginner terrain. 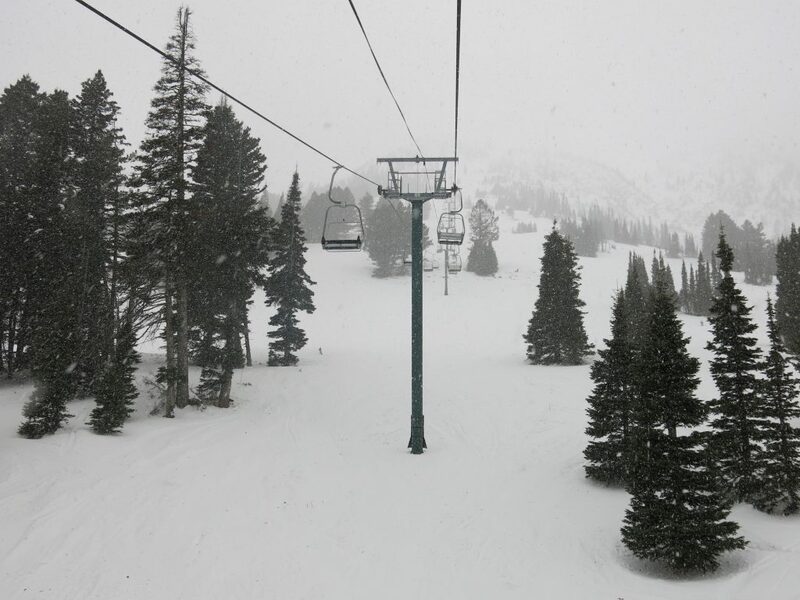 At the North end you can pretty much skip the Alpine lift as well because it is also flat and short. 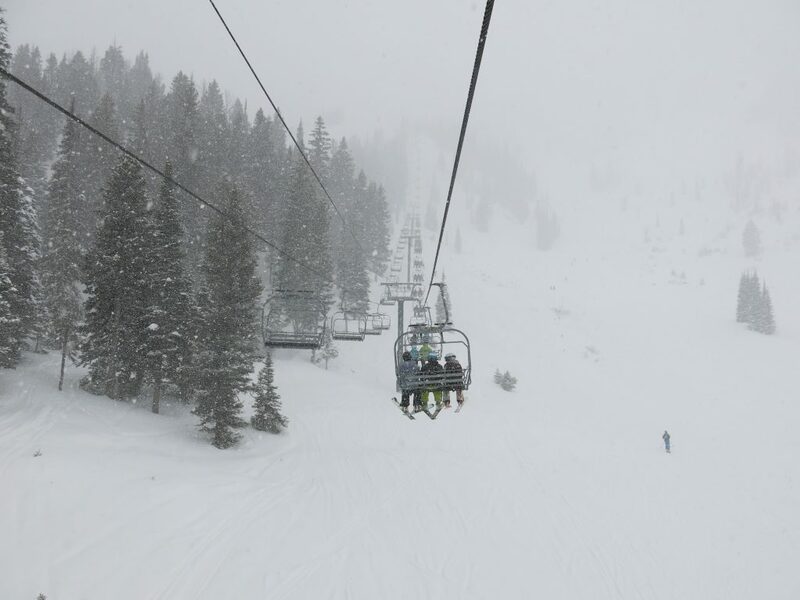 It starts to get interesting on the Powder Park lift with steeper blues and a few short blacks, but I never spent much time there because the next 3 lifts are so much better. 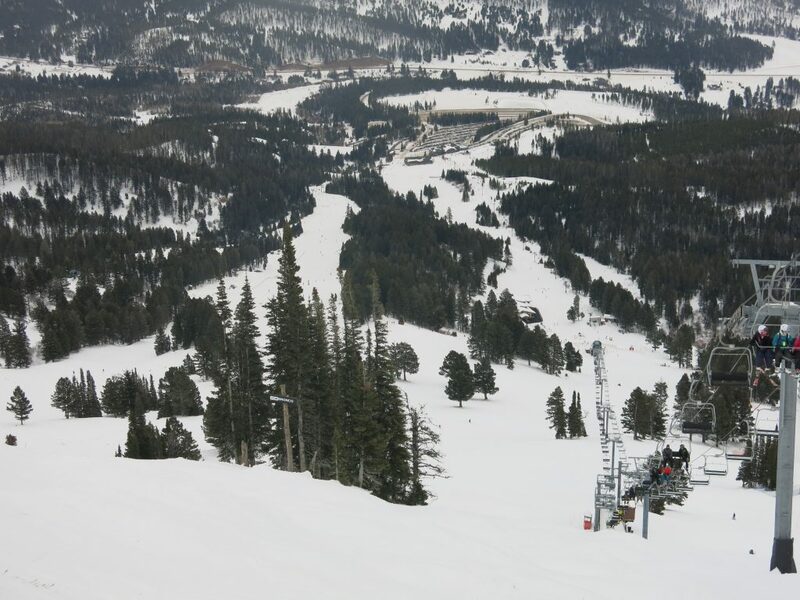 The Bridger lift accesses some great blue and black terrain, with a lot of bumps and steep dropoffs at the top. The first time I visited in 2014 it hadn’t snowed in a long time but there was some excellent chalky snow in the North Bowl area that I spent many runs on. It seems like the main course is the Pierre’s Knob lift though. This lift often has a long line, and really needs to be upgraded to a high-speed quad, or at least just a quad. It has interesting terrain that people of all abilities above beginner are drawn to. These runs take longer to ski and you can spend a whole day on that lift without getting bored. 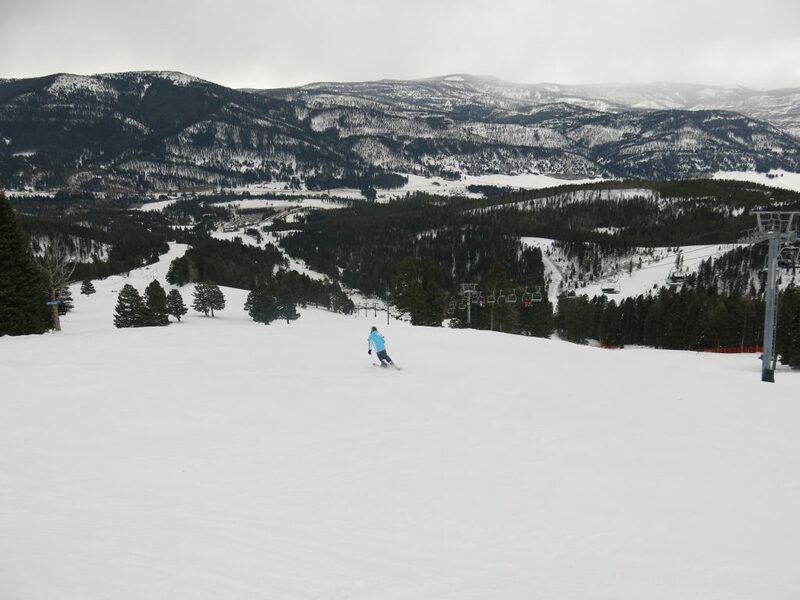 There are 12 distinct runs and I think we skied most of them. 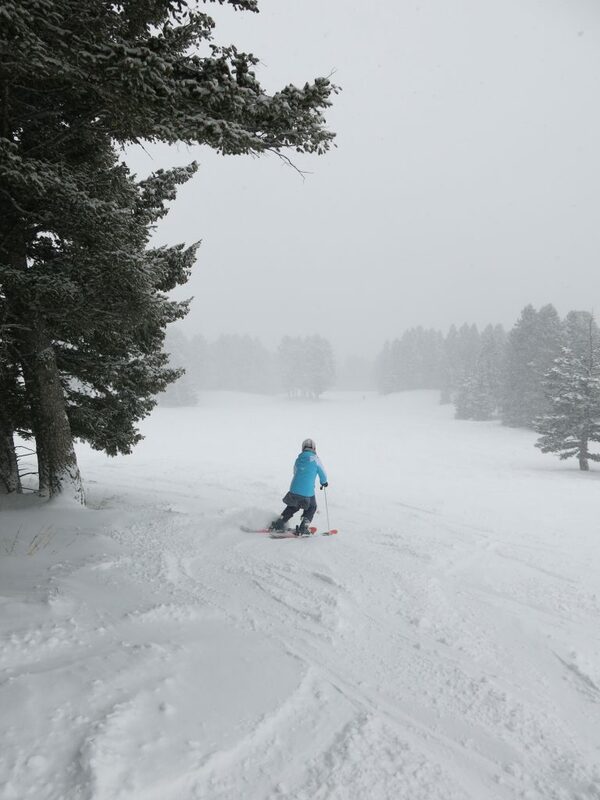 In 2017 we happened to ski there on a day when it snowed 6″ during the day. We had repeated fun powder laps on Mayo’s, Kurt’s, and Emigrant which have some skiable tree sections. If you have an avalanche beacon (you just need the beacon — no shovel or probe required), you can ski Schlashman’s lift and the excellent terrain over there. It’s all steep and there are cliffs peppered all over, but you can have a pretty reasonably easy run down Mundy’s Bowl without scaring yourself. I would be happy exploring this area for a season. It reminds me of much of the terrain at Alta and Brighton. With the beacon policy, you will be one of very few people in that zone and it feels like a private reserve at times. The only real problem with this place is that without skiing Schlashman’s it’s really a 2-lift affair and is pretty limiting. 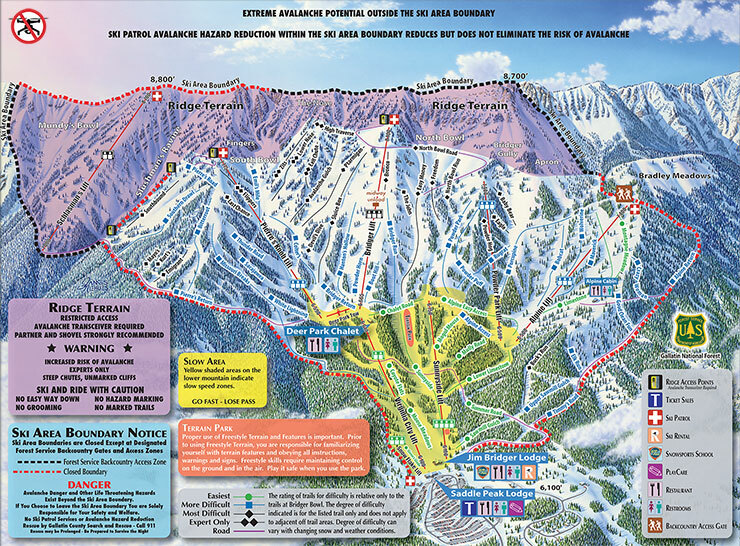 I understand the desire to keep guests safe by requiring an avalanche beacon but realistically the Schlashman’s terrain isn’t any more sketchy than much of Alta, Snowbird, or Taos which seem to be able to adequately control the terrain without this requirement. I expect we will see them open the lift to all eventually. They just need a big skull-and-crossbones sign at the bottom to warn people that there is no easy way down once you are up there. Schlashman’s is the only lift that accesses the very top of the ridge and you can get to about 1/3 of it from that lift, but you can hike up there from the top of Bridger to access the rest. That is seriously steep terrain that is more difficult than Schlashman’s and without a local guide I wouldn’t feel comfortable trying it. The base area has 2 cafeterias that were packed on the day we skied there during the Christmas holiday week which isn’t surprising, but the other time I went in 2014 it wasn’t too bad. Food was average at best, but comparing with Big Sky at least it’s possible to get some food in a reasonable amount of time. I don’t think we would make a special trip of it, but we both liked Bridger and it’s a place that every adventurous skier should try. Take your beacon, or rent one at Panda Rentals on the way up.